2 serial port switch Kit. Includes a 6 Foot DB9 Straight Thru Male Female cable and Switch. Primarily used to switch two serial style devices. Can be used in either direction. 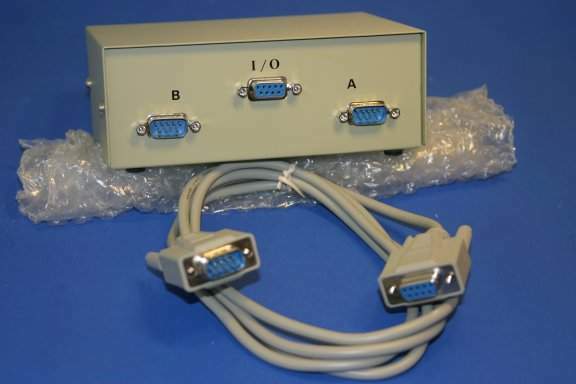 Qty 1 DB-9 AB Switch with 2 Male DB9 Ports to 1 Female DB9. Qty 1 6' DB-9 F-M Extenstion Cable.